Whether darkness still encases the windowpanes or the light of dawn is casting its seasonal glow when we rise each morning, these first hours of the day possess an open landscape of possibility. The intention to begin well. With gratitude, mindfulness, and empowered action. For centuries, everyone-but-our-night-owl-friends have proclaimed the morning to offer a richness of opportunity seldom found in the rest of our waking hours. 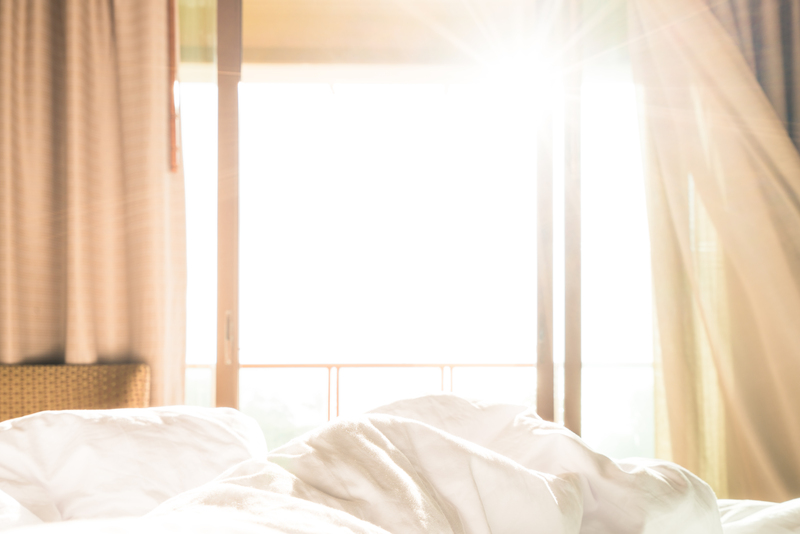 What we mindfully do upon waking establishes a rhythm for the hours that follow, effectively harnessing our unique creativity instead of our passive response. So how do we rise each morning with intention? It’s important to note that intention looks and feels differently for everyone. Here are a few powerful ways to begin each day; consider adopting these practices or adapting your own. Beginning each morning by quieting the mind is known for releasing stress, deepening clarity, improving efficiency, refining our communication, and fueling our inspiration. As Esther Hicks says, ‘what you focus on, grows,’ so success begins with the surrender of the mind as a way of focusing the mind. Regular meditation has deeply transformed my leadership and living in countless ways. I simply cannot say enough about its power and influence when consistently practiced. However, if meditation or mindfulness practices aren’t your thing, consider quieting the mind in other ways. Moving the body upon rising is a great way to break its nighttime stillness and re-engage our muscles in a positive way for the day’s responsibilities. Stretching before even getting out of bed is an important way to fully ‘wake’, engage, and shift the body’s metabolism into action. The term spirit simply means the part of us that is non-physical and the seat of emotions and character; our soul. No matter what occurred yesterday, each fresh day we arise is an opportunity to renew our spirit. Whether we consider ourselves to be deeply spiritual or not, our spirit awakens each day just like our mind and body. Giving our soul a few moments to pause and reflect allows us to shift more purposefully into our tasks and take integral action. Seizing the day with intention—in these areas or in our chosen practice—is ultimately the act of awakening our whole and integrated self every day—our body, mind, and spirit. Now for the key obstacle. What is the most consistent thing researchers have found to distract us from seizing the day with intention? Our dogs, family, thoughts, or calendars? Waking up and seizing our smartphone lying on bedside table. This one action sets into motion a pattern of passive observation instead of active intention. So whenever possible, we must reduce our technology use until after we have fully awakened with our own specific intentional practices. Choosing to ground ourselves in what is sacred to us every dawn and practice our core values builds a daily birthplace for creativity to be deepened, inspiration to be set ablaze, and productivity to be clear, effective, and successful. And for all our night-owl friends? One of the best parts about intention is that it isn’t time-based. Always remember we can return to choosing intention and its practices any hour of the day.